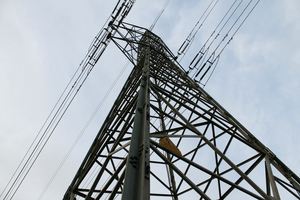 A new study has made the bold claim energy in the UK is actually too cheap. A group of academics at Newcastle University have challenged the existing market-based approach of the government, suggesting it is too cheap and consequently leading to more waste. Professor Phil Taylor, who led the research, said: "The current pricing model does not accurately reflect the high economic and environmental cost of generating, storing and distributing energy. In fact, because of the way energy is sold today, it becomes cheaper the more we use. This is unsustainable. "Although we must make sure people can afford to heat their homes, for the majority of us energy is actually too cheap – this is why we leave lights on, keep appliances running and use machines at peak times when energy costs more." The academics claim this is leading to a fragmented system lacking in central direction and consequently the £100bn required to deliver energy security is not being delivered. In essence, the paper is claiming nobody is currently 'in charge' of the country's energy policy. They propose the UK needs a 'system architect', a body which would stand above the National Grid, which is not specifically named in the paper, in power but below the government. This group would then oversee any planning and development within the energy industry. The Telegraph quotes an unnamed leading industry figure as saying it would be down to this architect to perform similar functions to those of the Bank of England or a strategic rail authority. The group would require a team of commercial, technical and environmental experts according to the industrialist. Taylor and his fellow academics also want the government to reward the energy suppliers who provide tools and techniques to help customers use energy efficiently and cost effectively.